This compact 3 gallon capacity bucket is able to store squeegees up to 16" & to fit sleeves and t-bars up to 14" in width. 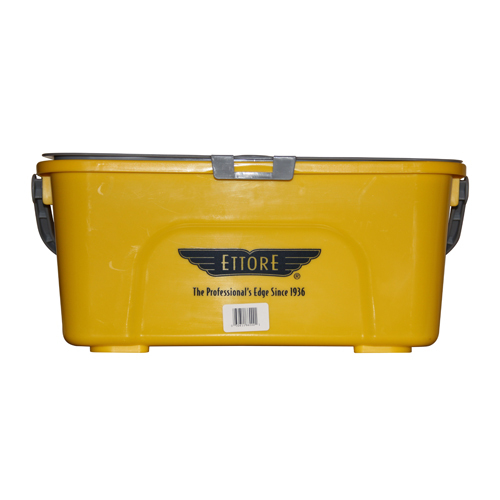 It is the perfect smaller size bucket to carry all your tools. The handle has a comfortable grip. A lid is available separately.